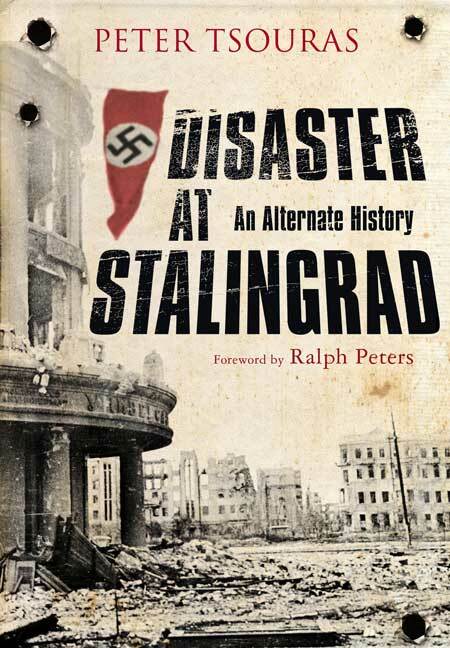 You'll be £4.99 closer to your next £10.00 credit when you purchase Disaster at Stalingrad. What's this? It is Spring 1942 and Hitler is about to launch his summer campaign to break the back of the already reeling Soviet Union. His objective is to destroy the Red Army's field armies then seize the desperately-needed oil fields of the Caucasus. His elite 6th Army and 4th Panzer Army become bogged down in the brutal 'Rats' War' amid the ruins of Stalingrad as vital reserves are shifted to the Caucasus. The Germans are running out of resources as Stalin carefully husbands his reserves for the decisive counterstroke. What happens next is well known to any student of modern history: the German Army never recovered from its defeat at Stalingrad though the war lasted another blood-soaked two years. It was the beginning of the end for Hitler's territorial ambitions in Europe and the pivot of the war that would be ended by the victorious Red Army in the ruins of Berlin. But the outcome could have been very different, as Peter Tsouras demonstrates in this thought-provoking and highly readable alternate history of the fateful battle. By introducing minor – but realistic – adjustments, Tsouras presents a scenario in which the course of the battle runs quite differently, which in turn sets in motion new and unexpected possibilities for the outcome of the entire war. Cleverly conceived and expertly executed, this is alternate history at its best. The key question therefore is does the book work as a work of historical fiction, and for me the answer is a resounding yes. Tsouras is a very skilful author - the book is entertaining and readable, his changes are certainly credible enough to work in fiction, most of the historical figures behave in a way that is close enough to reality to not be too jarring, and the ending is very entertaining (if entirely implausible). This is a very readable novel that certainly drew me in. Peter Tsouras has given us an excellent Red Team analysis, The author emphasises the importance of the Anglo-American supplies, such as trucks, aircraft, jeeps, tanks, aluminium, that the Russians were dependent on during the early stages of the Second World War. The author has given us an excellent description of what could have been in the Stalingrad campaign. His premise for this book is believable, based on sound research and logic. It is well written and portrays the main characters accurately. I look forward to more 'alternative history' form Peter Tsouras in the future. If you like the alternative history genre you will not want to miss this one. If you are an Eastern Front enthusiast I’d say give it a go you might surprise yourself! This is a remarkable example of 'alternate history' at its best . . . Peter Tsouras has conjured up a German victory rather than the disastrous defeat it was. But how could that have happened? That is the essence of the extensive and very plausible narrative the author has developed – a narrative that grips the reader all the more as he/she turns each page to seek the answer to what could have gone wrong for the Russians . . . Enjoy the fast-paced exposition of detail provided, and be prepared for a surprising ending. Peter Tsouras's re-imaginings of history always delight, consistently inform, boldly challenge and wonderfully reward discriminating readers. I read this 240 page book in a few days, it was hard to put it down. Often alternative history requires too many unlikely events and coincidences to make it happen. The dramatic and tragic Stalingrad story is however full of possibilities for this kind of treatment that require only minimal and believable changes, as the Germans came so very close to success despite all their problems. Peter Tsouras doesnâ€™t just deal with Stalingrad. He also asks several other questions, like what would have happened if the ENIGMA decoding had been discovered by the Germans? What would have happened to convoy PQ-17 if all the German ships sailed as planned (one was stopped by hitting rocks just as it left port)?. Thus this story includes a major naval battle. The story is really well told, and often it is very hard to tell fact from fiction, as real events are moved around. Anybody who knows the real story will constantly be wondering what is going to happen next â€“ as each German victory has its price, and events often follow their real course. The Germans do not get an easy ride and often do stupid things or otherwise get into trouble, leaving you wondering how on earth they are going to save themselves. My only criticisms are that too many personnel changes have to be made from real life, and more maps are needed, especially of the final Stalingrad battles, to make the final part of the story more credible. Wargamers and â€œHearts of Ironâ€ players will love this book, you can almost see the author re-arranging the counters on the map.